In 2017, three companies successfully launched initial public offerings in Turkey and collected approximately 1.254 million Turkish lira. Generally, domestic companies tend to list their shares at home. Overseas companies do not tend to list in the Turkish market. Borsa Istanbul is the sole exchange entity in Turkey, combining the former Istanbul Stock Exchange, Istanbul Gold Exchange and the Derivatives Exchange of Turkey. Borsa Istanbul mainly consists of four markets, namely, the Equity Market, the Debt Securities Market, the Derivatives Market and the Precious Metals and Diamond Market. The publicly held companies from various sectors are traded in the Equity Market of Borsa Istanbul and trading in the Equity Market is carried out in the submarkets. These are the Star Market, the Main Market, the Emerging Companies Market, the Collective Investment Products and Structured Products Market, the Watch List Companies Market, the Equity Market for Qualified Investor and the Pre-Market Trading Platform. The Capital Markets Board (CMB), Borsa Istanbul, the Istanbul Clearing, Settlement and Custody Bank and the Central Registry Agency are the main rulemaking and enforcing authorities on IPOs in Turkey. the total amount of non-trade related party receivables cannot exceed 20 per cent of the issuer’s total receivables and cannot exceed 10 per cent of its total assets. The issuer must pay to the CMB a fee that is equal to the sum of 0.1 per cent of the difference between the nominal value of the offering shares and their offering price, and 0.2 per cent of the nominal value of any shares that are not being publicly offered. Borsa Istanbul Listing Directive (Listing Directive) regulates the listing and trading of securities through a public offering, through a private placement without a public offering, and to qualified investors. Under the CMB, only joint-stock companies can become public companies and list their shares on Borsa Istanbul. To list and trade securities on Borsa Istanbul, a company must have been incorporated for at least two calendar years in accordance with the relevant CMB regulations. The company must meet all the conditions of the group of the market to which it belongs. The groups are generally determined by the value of the shares offered to the public. the minimum ratio of shareholders’ equity to the capital according to the most recent independently audited financial statements must be more than 0.75.
the minimum ratio of shareholders’ equity to the capital according to the most recent independently audited financial statements must be more than 1. As per the amendment made in the Listing Directive on 8 January 2018, companies that have not earned a profit in the past two years and/or that do not meet the shareholders’ equity to the capital ratio, can still be listed in the Star Market of Borsa Istanbul. In order to satisfy the foregoing, companies that record operating profits in the preceding financial year and relevant interim period, with positive shareholders’ equity (if negative, the application shall be made only to Group 1) and that have shareholders’ equity to capital ratio - which is calculated by addition of nominal value of capital increase with premiums of shares to be acquired upon public offering to the amounts classified under shareholders’ equity, meeting the ratios required for the Star Market of Borsa Istanbul - will be eligible for listing in Borsa Istanbul’s Star Market. Such eligibility criteria are applicable only where there is issuance of new shares, other requirements of listing in Star Market of Borsa Istanbul are also met and the board of Borsa Istanbul approves the listing application of the relevant company. the ratio of shareholders’ equity to the capital according to the most recent independently audited financial statements must be more than 1.
the ratio of shareholders’ equity to the capital according to the most recent independently audited financial statements must be more than 1.25.
the company’s legal status in terms of its establishment and activities and its shares must comply with the applicable law. If an application is to be filed for an initial listing of shares, such listing application shall be made for the whole amount of capital of the relevant company. The prospectus is the main document for an IPO. It will contain separate financial statements prepared in accordance with Turkish Financial Reporting Standards, which are virtually identical to the International Financial Reporting Standards. In terms of disclosure, the prospectus must include all material information. The layout will follow a specific format prescribed by the CMB. for retail offerings, more general advertising in order to generate additional interest in the IPO. The issuer, the selling shareholders and the underwriters may decide to conduct a marketing campaign for Turkish investors, as is customary in Turkey. The publicity to be used in any such campaign must be in Turkish, distributed exclusively to investors in Turkey and limited to information contained in the Turkish prospectus. that any investment decision with respect to the securities should be made based on such investor’s review of the Turkish prospectus. The public offering in Turkey (Turkish offering) is not permitted to take place in Turkey prior to the approval of the Turkish prospectus by the CMB. Any information required to be disclosed in connection with the public offering in accordance with the CMB regulations must be included in the Turkish prospectus. 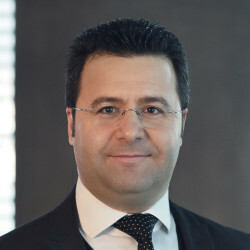 In addition, any publicity, advertising or announcements directed to the public in connection with the Turkish offering must be consistent with the information contained in or expected to be contained in the Turkish prospectus, and must not include inaccurate, exaggerated, incomplete, unfounded or misleading information and must not misguide the investors to create false impressions about the issuer, the selling shareholders or the securities. The CMB may request the suspension and removal of the publicity that it considers inaccurate, exaggerated, incomplete, unfounded or misleading. Furthermore, any such publicity must not imply that the approval of the Turkish offering and the Turkish prospectus by the CMB would constitute any guarantee by the CMB or another administrative authority. It is important to note that the content of any advertisements in relation to the issuer or the offering may trigger liability of the issuer and certain other persons with respect to the information disclosed (or not disclosed) in the Turkish prospectus. The persons involved are responsible for the fair reflection in any such advertisements of the facts and information contained in the Turkish prospectus. Any change in the information disclosed to the public in the Turkish prospectus and any new information that may affect investors’ investment decisions must be notified by the Issuer to the CMB immediately through the most convenient means of communication, preferably in writing. The content of any publicity following the publication of the Turkish prospectus must be consistent with the information included in the Turkish prospectus. The issuers, brokers or dealers, underwriters and guarantors may be held liable for various breaches of the IPO rules. The CMB and Borsa Istanbul are authorised to impose various administrative and criminal sanctions on them (see also question 19). Each deal is different, but an indicative timetable for an IPO is set out below (where ‘T’ is the first day of trading on Borsa Istanbul). After the preparation period, prospectus drafting commences. First submission of the prospectus to the CMB. First draft reports circulated and announcement of intention to float made. Connected brokers’ research is published and the research blackout period starts. Borsa Istanbul approval of listing is received and the price range is set. The Turkish underwriting agreement is signed and the final valuation report is submitted to the CMB. Updated prospectus with price range (subject to approval by the CMB) is made available on the issuer’s and domestic underwriter’s websites. There is a management briefing to syndicate sales. The preliminary immediate or cancel (IOC) order with price range (subject to approval by the CMB) is distributed. The management roadshow starts. Submission of final documents to the CMB. End of the period for informing investors of the IPO. Prospectus approved by the CMB. International bookbuilding starts and announcement of sales. The pricing decision is made. Domestic and international book-building ends. If requested, the distribution list is sent to the CMB. Offer price and allocations announced. New shares are created and shares can be sold or transferred. Settlement and publication of final IOC. First day of trading and start of price stabilisation (if any). other fees (advertisement, promotion, other consultancy services, etc) (8 per cent). Based on the Borsa Istanbul reports, the aggregate amount of the fees and costs generally corresponds to the 4 per cent of the total offering proceeds of the issuer for the issuances launched in the main equity market. the board of directors shall form an audit committee (except for banks), early detection of risk committee (except for banks), corporate governance committee, nomination committee, remuneration committee (except for banks) in order to fulfil its duties and responsibilities duly and adequately (however, in case a separate nomination committee and remuneration committee cannot be established as a result of the structure of the board of directors, the corporate governance committee shall fulfil the duties of such committees). The Emerging Companies Market is the market in which the shares of smaller or growth companies may be listed. There are special allowances and discounts in relation to CMB fees, CSD (MKK) fees and Borsa Istanbul listing fees for such smaller and growth companies. There are no regulated specific forms of anti-takeover defence under Turkish law. The management of a target would have fiduciary duties against the shareholders and should at all times act in the best interest of the company; therefore, if the management tries to jeopardise the offer based on personal gains, it may be liable for damages to the shareholders. Anti-takeover defences are not precedential. In case of voluntary tender offers, the target’s board is required to prepare and announce a report on the features of the offer and prospects of the acquisition on the target, which could be used to convince the shareholders in declining the offer; or the management can try to buy additional time from the CMB to call the shareholders for a meeting, and try to indulge competing offers. Anti-trust concerns may also be used as a defence. Requirements for the listing of securities of foreign-based institutions that are operating abroad are the same as for Turkish institutions. There is no requirement for ministerial approval for the initial listing of foreign capital market instruments. In addition, there is no requirement for the foreign company to be listed in its home country. However, the board may ask for additional requirements or waive some of the conditions. Foreign issuers must apply to the Borsa Istanbul with the information and documents indicated in the Listing Directive for the listing of securities. There are special discounts relating to Borsa Istanbul Listing Fees applicable to foreign issuers. the foreign issuer and the intermediary financial institutions do not engage in any sort of marketing, advertising or publicity activities towards Turkish resident investors relating to the offering. the provisional regime: a provisional regime that, although currently temporary and was initially set to conclude at the end of 2015, has been extended until the end of 2020. Income tax is covered by the declaration regime. Capital gains and interest income derived mainly from listed securities are covered by the provisional regime. Under the provisional regime, taxation is carried out through withholding, mainly by brokerage houses, banks and custody banks. The capital gains derived for a listing of equities on the stock exchange falls under the provisional system and will be subject to a zero per cent rate withholding tax. the transfer of shares is exempt from VAT and the documentation related to listing is exempt from stamp tax. Judicial authorities (ie, the courts) are authorised to resolve the disputes arising between the investors and the issuers’ underwriters. The CMB may be involved in such disputes only for regulatory purposes (ie, whether there are any incompliances of the relevant CMB rules and regulations for sanctioning purposes). Class actions have been recently introduced by the new Turkish Civil Procedural Code. Only associations and other legal entities are entitled to file class actions in order to protect the interest of their members or persons they represent. Real persons are not entitled to file class actions. The company drafts the prospectus (generally through its lawyers). All the IPO and special payment order advisers must contribute to its preparation, review and sign-off. A formal verification exercise is undertaken to test the accuracy of key statements in the prospectus. The issuer is primarily liable for a prospectus relating to equity securities. In addition to the issuer, in the case of a public offering, the underwriters and guarantors, if any, are also liable for the accuracy and completeness of the information provided to the investors, in proportion to their fault. Issuers are responsible for making sure that the information contained in the documents is a fair reflection of the facts. However, intermediary institutions, those conducting the public offering, guarantors (if any) and any board members of the issuer who have acted without due diligence can be held responsible for the part of the loss that cannot be indemnified by the issuers. Their liability is a secondary one and is based on their negligence. In relation to offering documents that are not mandatory and are not subject to CMB approval, the parties must comply with the relevant Turkish law provisions. Criminal liability will be based only on fraud. An issuer can be liable to investors in contract or tort. Underwriters and guarantors involved in an equity offering can also, in certain circumstances, be liable. Under statute, any person who has acquired securities to which the prospectus relates and has suffered loss as a result of the prospectus can claim compensation from those responsible for the prospectus if the prospectus: contained any untrue or misleading information, or failed to disclose any material information. There are a number of statutory defences. For example, a person who proves that he or she was not informed about the inaccurate, misleading or incomplete information included in the public disclosure documents, and that the fact they were not informed was not a result of their gross negligence or wilful intention, will not be responsible for the deficiency. 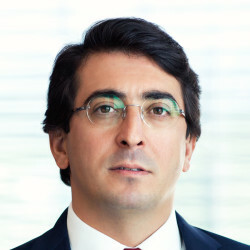 Paksoy is a leading full-service law firm in Istanbul, Turkey, focused on advising clients in a wide range of legal areas including cross-border investments, international business transactions, mergers and acquisitions, competition, information and emerging technologies, telecommunications, media, data protection and cybersecurity, intellectual property, construction, energy and infrastructure, finance, insurance and pensions, investigations, compliance and disputes, privatisations, real estate, labour and tax.